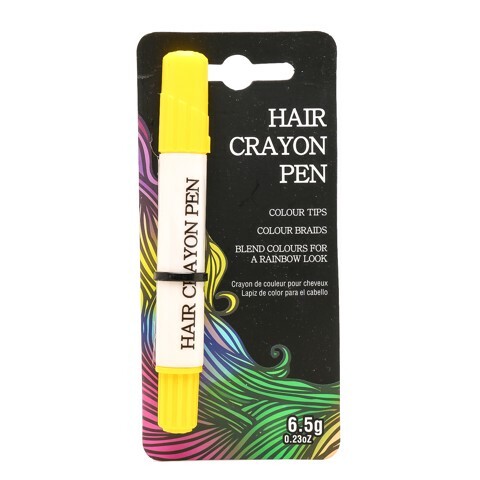 Hair Crayon Pen Asst Colours. Pen Length 12cm. Red | Pink | Blue | Black | Green | Yellow. Stearic Acid l Glycerol l Propylene Glycol l Pigment l Water. 6.5G Packaging: Backing Card with OPP Bag.